Affluent and influential, the Westside is pure L.A. glamour. Even Westside neighborhoods have as much fame as the celebrities who live in them: Brentwood, Bel-Air, Westwood, Beverly Hills, West Hollywood, Culver City, Century City. It’s a place of movie stars and movie moguls, swimming pools and sports cars — but don’t forget the world-famous cultural institutions, hotels, shopping and global cuisines that round out the diverse Westside experience. The Westside has some of the hippest and most elegant hotels in the country, if not the world. You needn’t be a celebrity to receive the star treatment. Hotel Bel-Air couldn’t be more secluded or fabulous. Cross a romantic bridge over Swan Lake to this leafy estate, and enjoy a palatial room in a garden setting. The W Los Angeles – Westwood towers over Westwood, bringing its own contemporary style to the neighborhood. East along Sunset Boulevard, The Beverly Hills Hotel & Bungalows is a legendary "Pink Palace" ensconced among mansions. You saw the The Beverly Wilshire, A Four Seasons Hotel in Pretty Woman, and it’s still the anchor of Beverly Hills, at the foot of Rodeo Drive. 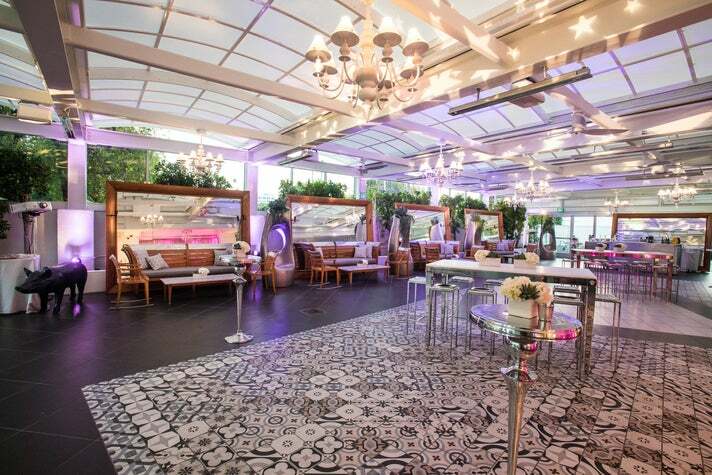 Italophiles will love Mr. C Beverly Hills and its on-site restaurant. Not to be outdone, the Four Seasons Los Angeles at Beverly Hills boasts its own superb restaurant, Culina. The global jet set has several options on the Westside, including: SLS Beverly Hills, featuring a sleek design by creative mastermind Philippe Starck and fine dining by Jose Andres; the modern French chateau ambiance of Sofitel Los Angeles at Beverly Hills; and the posh London West Hollywood. Creatives have checked into the Chateau Marmont for generations. The Westside is a mecca for museums and cultural destinations. 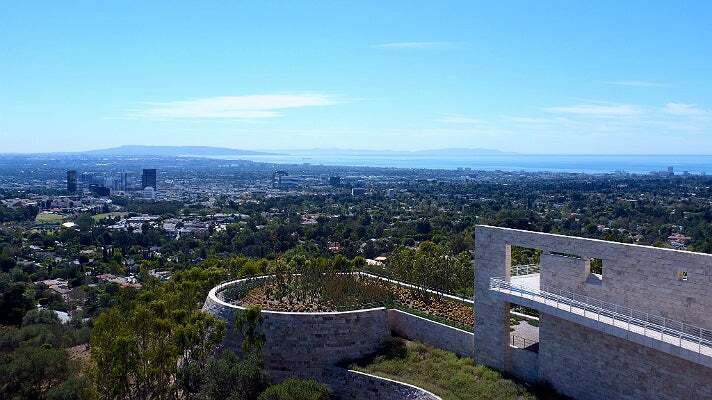 Located in Brentwood, the Getty Center sits like a shining city on a hill with centuries of art and photography displayed in a stunning architectural setting. Just beyond the Getty Center, the Skirball Cultural Center offers an overview of Jewish history and culture in America. 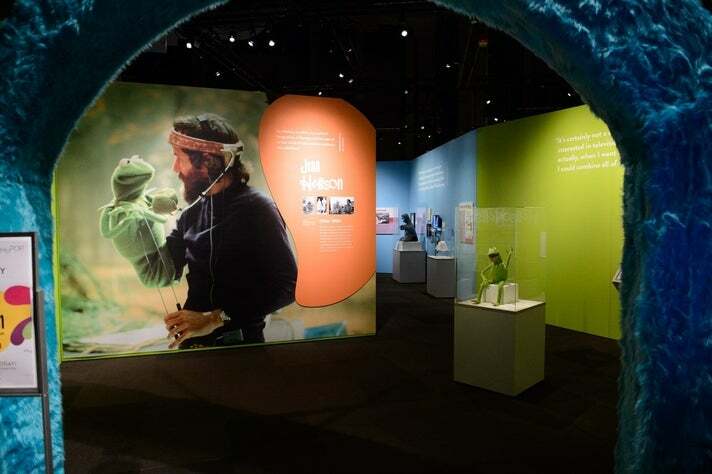 Be sure to check out the 8,000-square-foot Noah’s Ark, a hands-on exhibit for children. Westwood Village is home to the Hammer Museum, a hub for contemporary art and special events; and the Fowler Museum at UCLA, renowned for its collection of global works from Africa, Asia and The Pacific. The Annenberg Space for Photography in nearby Century City celebrates the artform in a state-of-the-art space. Located in Mid-Wilshire, the Los Angeles County Museum of Art (LACMA) is the largest art museum in the western United States, with a collection of over 135,000 objects spanning 6,000 years of history. LACMA anchors Museum Row along Wilshire Boulevard, which also includes the La Brea Tar Pits, Petersen Automotive Museum and the Craft & Folk Art Museum. Culver City is home to two of L.A.'s most unique museums. Smithsonian Magazine describes the Museum of Jurassic Technology as "Los Angeles' strangest museum" - the cabinet of curiosities houses a collection of fascinating artifacts that may or may not be real. The Wende Museum is the passion project of Justin Jampol, who has amassed a collection of more than 100,000 bits of Cold War ephemera. Pull out all the stops and the credit cards because shopping on the Westside is a way of life. Recent renovations and openings have made the Westside more of a shopping destination than ever. Westfield Century City recently received a $1-billion makeover to create a 1.3-million-square-foot showcase for more than 200 luxury, contemporary and international designer brands, a new three-level Nordstrom featuring its latest design concepts, a completely remodeled three-level Bloomingdale’s, and a modern new two-level Macy’s. 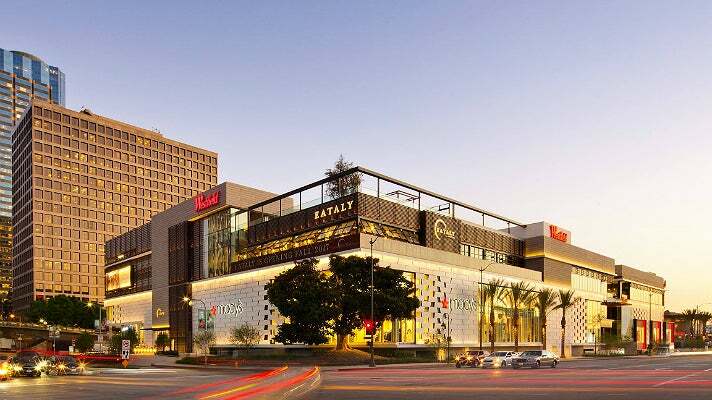 Like Westfield Century City, the Beverly Center is embarking on a $500 million re-imagination that will transform every aspect of the iconic fashion destination by the holidays of 2018, when construction is scheduled to be complete. Beverly Center and its tenants will be open in the meantime. The renovation includes a multi-concept gourmet food hall - THE STREET - by Michelin-starred chef Michael Mina. A short drive east on West Third Street takes you through a hip stretch of women's accessories and quirky gifts, cook stores and travel goods. Soon you’ll reach The Grove, one of L.A.'s most popular retail complexes, home to Nordstrom, American Girl Place and Abercrombie & Fitch, plus restaurants, movies and a dancing fountain. An old-fashioned trolley makes the two-minute run to the historic Farmers Market at Third and Fairfax, featuring classic food vendors and eclectic shops like Kip's Toyland and hot sauce emporium, Light My Fire. Robertson Boulevard between West Third Street and Beverly Boulevard booms with sleek boutiques for fancy jeans and skinny minis; not to mention paparazzi camped outside looking for celebs. Just beyond, Robertson and Beverly Boulevards, Melrose Avenue and Third Street are teeming with hundreds of home design shops, including the Pacific Design Center. Sunset Plaza on the Sunset Strip has boutiques with leather accessories, bright purses in a rainbow of colors, and antique furniture, as well as designer shops such as Armani A/X, Nicole Miller and Zadig & Voltaire. Mention Rodeo Drive anywhere on earth, and you’ve conjured up fashion from Armani to Zegna. On this main drag of the Beverly Hills "Golden Triangle," the streetlamps are chandeliers and Harry Winston bejewels the stars for award ceremonies. Two Rodeo is a destination in itself, with cobblestone streets and an Italian-style piazza, the better for you to model the Versace, Tiffany or Carolina Herrera you just bought. Along Wilshire Boulevard are top-name department stores including Saks Fifth Avenue. Celebrity chef Wolfgang Puck has three restaurants on the Westside: his flagship Spago has long defined California cuisine for the world; the high-end steakhouse, CUT at the Beverly Wilshire; and his eponymous restaurant at the romantic Hotel Bel-Air. L.A.'s high-profile Restaurant Row is located on La Cienega Boulevard just north of Wilshire Boulevard. 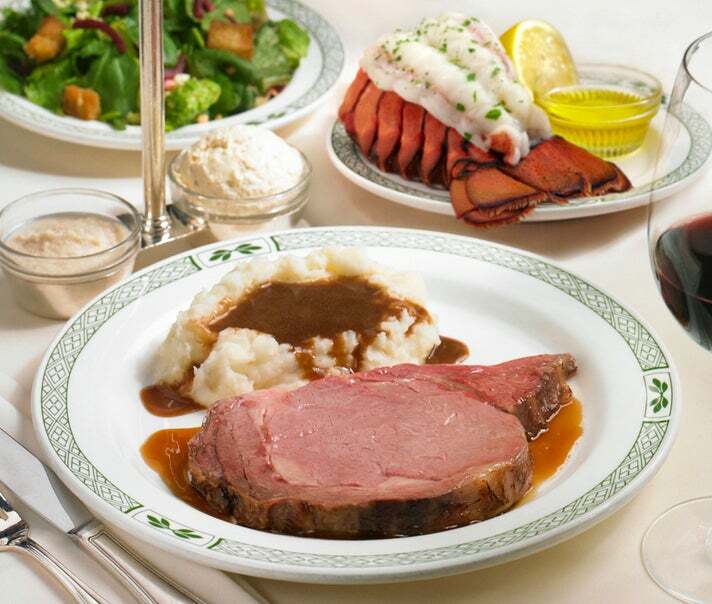 Highlights include the iconic Lawry's The Prime Rib, the groundbreaking Matsuhisa, and the all-you-can-eat Brazilian churrascaria, Fogo de Chão. Three of L.A.'s most acclaimed restaurants are located north of Restaurant Row at Melrose Avenue: Lucques, the flagship of James Beard Award winners, chef Suzanne Goin and sommelier Caroline Styne; Rosaline, the Peruvian standout from Ricardo Zarate; and E.P. & L.P., featuring Southeast Asian fare by Louis Tikaram and one of L.A.'s best rooftop bars. And at the top of La Cienega, restaurateur Bill Chait recently made his long awaited return to L.A. with Tesse on the Sunset Strip. Burger fans can get their fix at two must-try places, the old school Apple Pan or the modern classic Father's Office. Westside diners can travel around the world without a passport in historic districts like Little Ethiopia, Tehrangeles, and Sawtelle Japantown, home of the wildly popular Tsujita Artisan Noodles. Night owls and history buffs alike will appreciate 24-hour joints like the historic Canter's Deli and two Googie-style gems, NORMS and Mel's Drive-In. 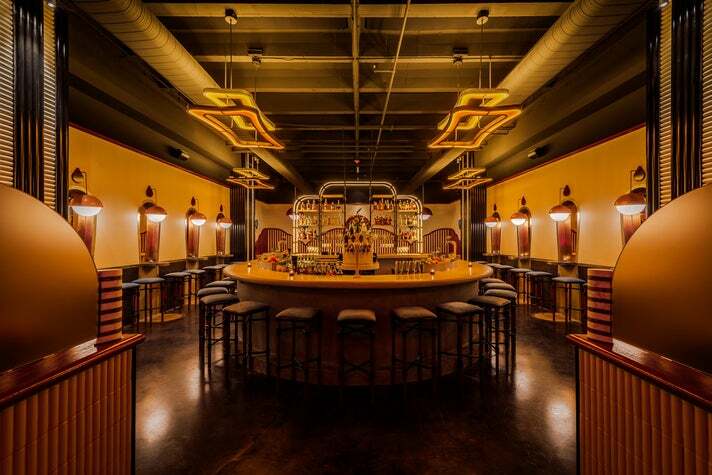 The Westside offers some of the best bars in the city, from longtime favorites like The Roger Room to recent additions to the scene such as Bibo Ergo Sum and Employees Only. If you're in a retro mood, sip a classic Martini at the famed Polo Lounge in the Beverly Hills Hotel. A nighttime drive along the world-famous Sunset Strip is the stuff of dreams. Stop at one of the legendary live music clubs like the Whisky A Go Go or The Roxy. South of the Strip is another famous venue, The Troubadour. 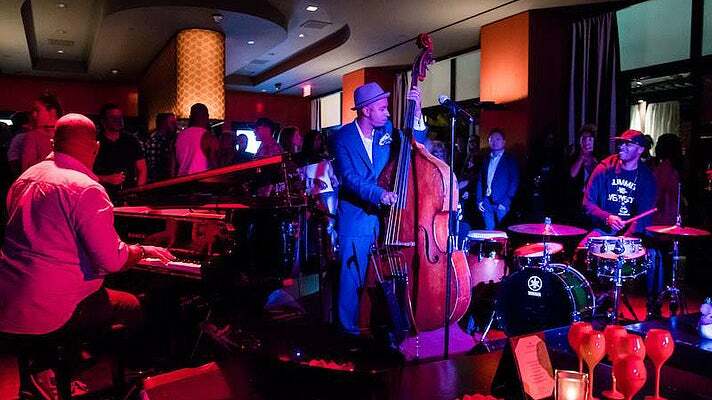 Jazz fans can get in the groove at Vibrato in Bel-Air and Riviera 31 at the Sofitel Los Angeles at Beverly Hills. Looking for laughs? Take in a night of stand up at The Comedy Store or the Laugh Factory.